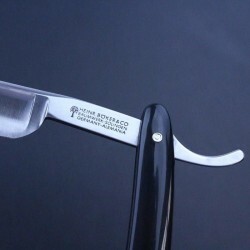 The Boker Classic is an entry level razor which represents excellent value for a Solingen razor. 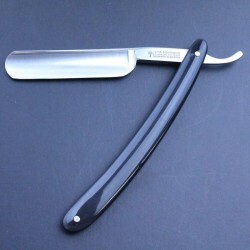 The 5/8 blade has a satin finish to both sides but is otherwise unmarked. It is extra hollow ground, of carbon steel and with a plain spine. 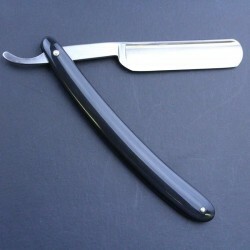 The Boker Classic is an entry level razor which represents excellent value for a Solingen razor. The 5/8 blade has a satin finish to both sides but is otherwise unmarked. 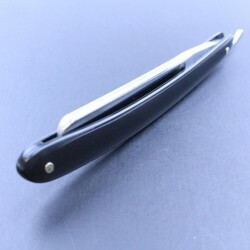 It is extra hollow ground of carbon steel and with a plain spine. 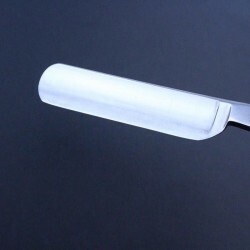 It has a simple black plastic scales.